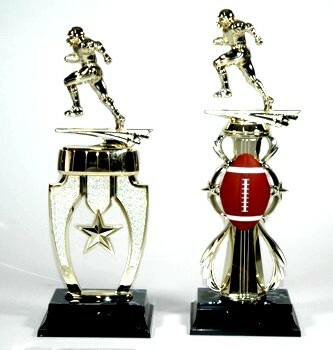 Our most popular football trophy now comes in 2 versions, with the football center which stands 13.5 inches tall, and with the star center which stands 13.25 inches tall. Both include an engraved plate with your customized information. 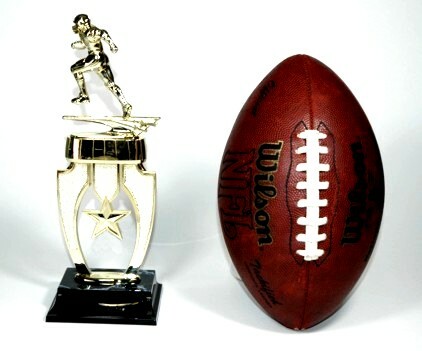 For a size comparison the 3rd picture shows the star center trophy standing next to a regulation size football.